The Something Awful Forums > The Finer Arts > Creative Convention > The Dorkroom > The Mirrorless Thread: Son(y), I Am Disappoint. 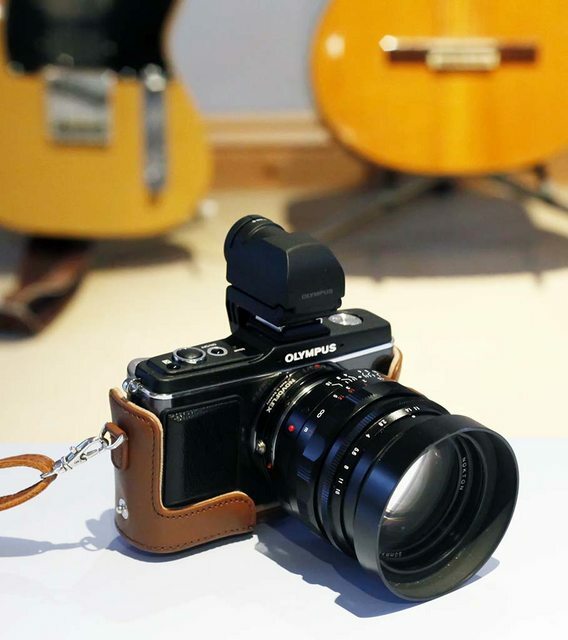 One of the newest trends in the camera world is the compact mirrorless interchangeable lens camera! What the hell is a mirrorless interchangeable lens camera? What should we call mirrorless cameras? Nobody knows what the hell to call them, but they're interesting pieces of gear. Light enters through the lens, and with a traditional DSLR a reflex mirror kicks light straight up into the pentaprism (or pentamirror on cheaper models) and then back out the viewfinder, giving the shooter a live preview directly through-the-lens. By eliminating the extra clearance between the lens and sensor for the reflex mirror, and the body size for the pentaprism and viewfinder, you are able to significantly reduce the size and weight of the camera. But what makes a mirrorless camera different than a regular point-and-shoot? Firstly, these cameras (Fuji X100 excluded) retain the ability to interchange lenses. Fast primes, long zooms, all of these lenses and the image quality improvements they bring to the table can be yours with a mirrorless system, compared to the fixed 3x zoom of your cheap point-and-shoot. Second, your average point and shoot has a tiny sensor. I mean really small. 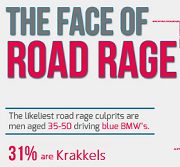 Here's a graphic. 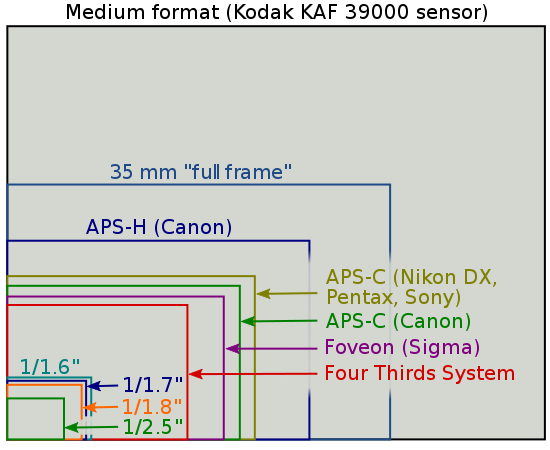 Most point-and-shoots (with few exceptions) have one of the smaller sensors on this chart. A smaller sensor is going to cut down on your image sharpness, reduce the dynamic range of your image, and give you hellacious image noise trying to take pictures in low light. Current mirrorless cameras have either an APS-C sized sensor or a 4/3rds size sensor. -It's rumored that Nikon and Pentax are coming out with tiny sensored mirrorless systems. We'll see I guess. Third, everything can be smaller. Smaller bodies and smaller lenses, while still retaining the large sensors inside, allow for a far more compact camera and lenses than a traditional DSLR. Fourth, some people may not care about this, but the short distance from lens-to-sensor makes these mirrorless systems super easily adaptable to use all sorts of manual focus lenses, old system lenses, surveillance camera lenses, enlarger lenses, etc using just a simple adapter ring instead of a complex adapter with its own built in optics. These sound awesome, what's the problem? Why don't you already own one? 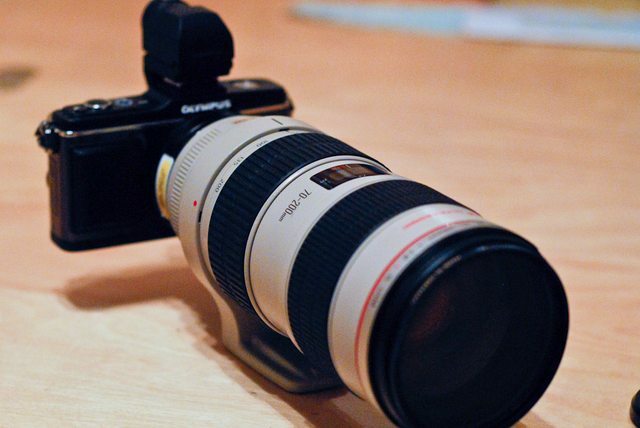 First, the auto focus may not be as good as that of a traditional SLR. These use contrast detection auto focus instead of phase detection which a normal DSLR uses. Most people are unlikely to see a performance difference, but if you shoot sports frequently then this may be a big deal for you. Second, loss of the reflex mirror and pentaprism means no viewfinder. What has always set apart "professional" digital cameras from consumer models (in the eyes of a layman) is the need to look through the viewfinder. It keeps people from wanting to use our cameras all the time, and we all think it makes us look cooler. I have a hard time reconciling this difference myself, I'm thinking of ditching my traditional gear for a mirrorless setup but this is a huge mental block to get past, I love my viewfinder. Second part 2: Digital viewfinders are integrated into some models such as the Samsung NX10 and the Panasonic G1/GH1/GH2, and digital viewfinders exist as an accessory to models like the Olympus E-P1/E-P2 and the Panasonic GF1/GF2. 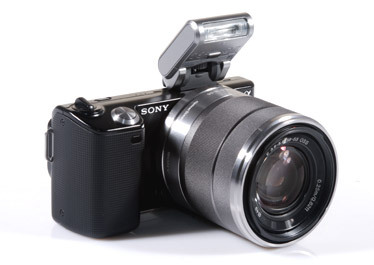 A non-adjustable optical viewfinder that clips into the accessory shoe exists for the Sony NEX-5 and is designed for use with the 16mm F2.8 lens. An optical finder also exists for some Olympus/Panasonic lenses but I don't know much about it. 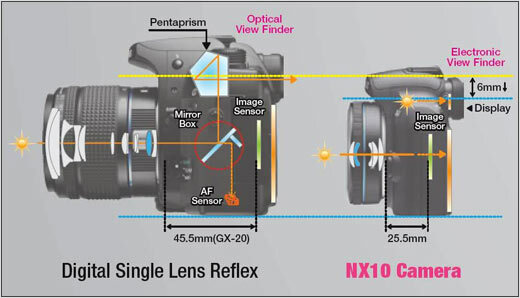 However, no digital finder will be as fast or as clear as a single lens reflex optical viewfinder in a traditional DSLR. Note: The Fuji X100 is a special case and you could write a thread alone just about its fancy magic viewfinder. Third, you have to buy new lenses. Maybe. For the Sony NEX system, there are currently only 3 E-Mount lenses with more planned to come soon. Panasonic and Olympus have a decently sized stable of lenses for the Micro Four Thirds system(m4/3), wikipedia claims there are 18. 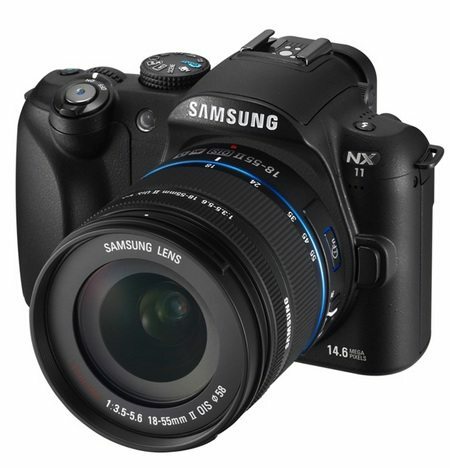 Currently Samsung also only has 3 NX-mount lenses. Like I said before though, the small-ish sensors and the short lens-to-sensor distance makes adapting almost any lens to mount up to these systems a very trivial affair, you just might have to manual focus them. 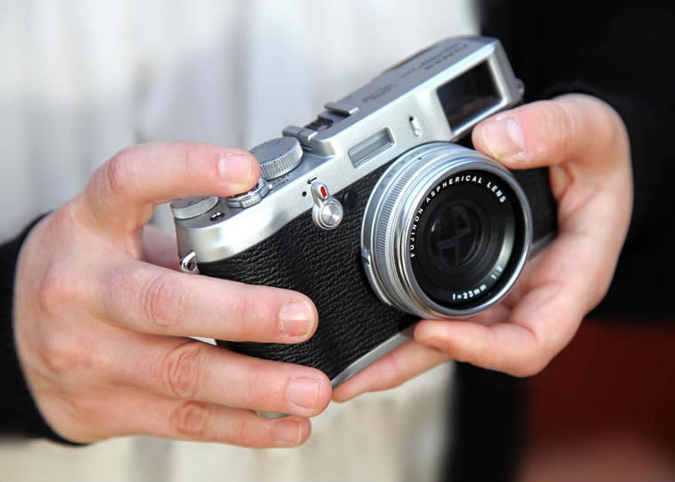 The Fuji X100 has a fixed 35mm equiv lens. Fourth but not least. There isn't really a shutter and mirror to keep dust off your sensor. Be quick with your lens changes because without the lens on it your sensor is very exposed. Alright, sounds good. So what models are out there? Olympus has the (higher end)E-P1/E-P2 and (lower end) E-PL1/E-PL2 models. 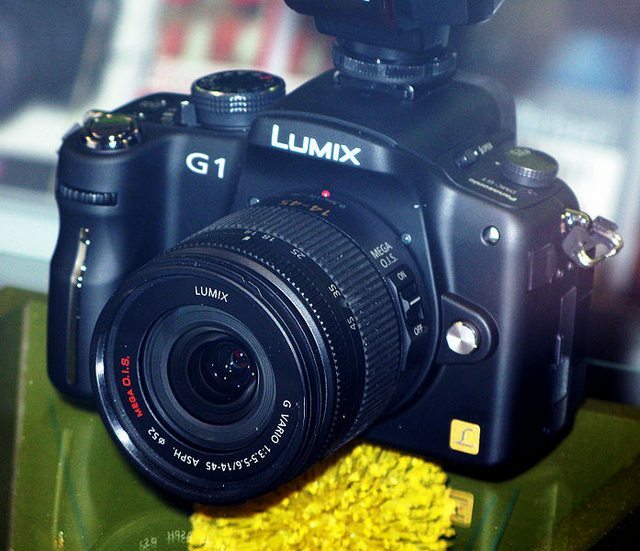 Panasonic has the G1/GH1/GF1 which are bodies with build in viewfinders and hand grips. 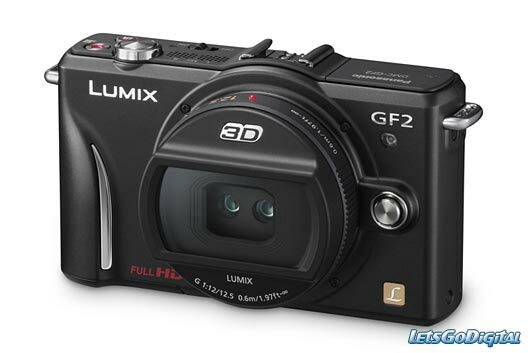 and the GF1 and GF2 which are brick-like point-and-shoot styled bodies. The NEX-5's included flash unit uses the same mount that the OVF for the 16mm lens would. You can't use both at the same time. The Fuji X100 is a special beast of it's very own and I'll let somebody more knowledgeable fill us in on why it's so awesome. Ricoh GXR, I don't even know where to start. It's a self-contained lens and sensor unit that you swap and attach to the body. 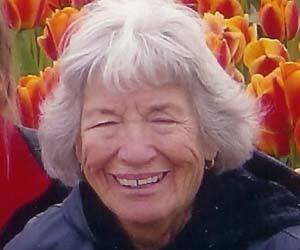 If anybody has information they want to add, please let me know and I'll add it to the OP. Any current owners care to chime in to give advice to other prospective new owners or those still on the fence? Good stories or amazing pictures you've taken with these systems? Let's talk about these little devils! I guess the idea with the Ricoh thing is to save money by keeping the same screen/controls/battery/etc while swapping out both the lens and sensor, and to either let you get SLR quality images with prime lenses or something like a top-end P&S with a zoom. 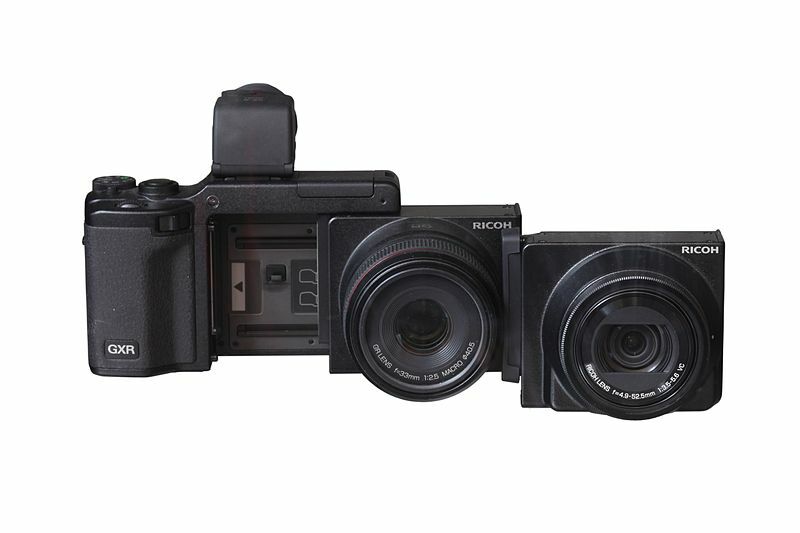 According to their website (http://www.ricoh.com/r_dc/gxr/ ), they have 4 different camera units available. Two use APC-C sized CMOS sensors with prime lenses (a 50/2.5 and 28/2.5 equivalent) and two use P&S sized CCD sensors with stabilized zoom lenses (equivalents 24-72/2.5-4.4 and 28-300/3.5-5.6). All of their lenses are listed in 35mm equivalents because otherwise it would be too confusing with the two differet sensor sizes used. The whole thing is pretty but I suppose it might appeal to someone who wants a very compact setup (since the tiny sensor keeps the zoom lenses small and the primes aren't that big to begin with). Short version: DSLR quality (for reals) in a tiny, all-metal package, with manual metal control dials, a real glass viewfinder (that is large) and a fast 35mm equiv lens (that is fixed to it, no changing lenses). It has an offset viewfinder like a rangefinder, but the focusing is not mechanically coupled. You use contrast based AF that is quite fast. (it's as fast as the canon 50mm 1.8 in good and medium good light). This is it's unique point. No other camera offers a viewfinder this large and bright till you get into the big expensive high end DSLRs like the 1Ds and D3 line (or older film cameras). The IQ is the best. Nothing touches it in this segment. The Leica x1 comes close for more money, but with no viewfinder and slower AF and costs 800 dollars more. 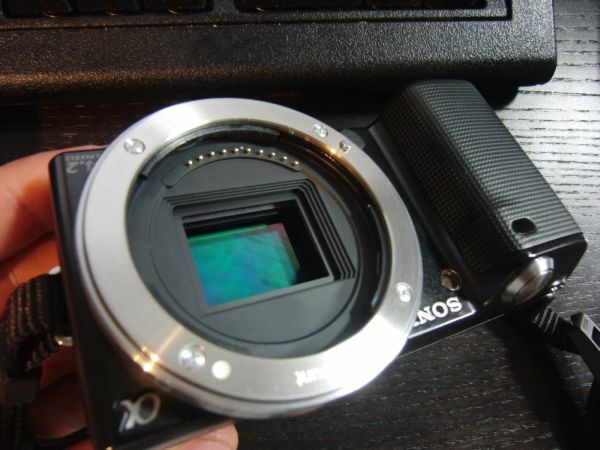 The X100 lens has no chromatic aberrations, no purple fringing, negligable vignetting from offset microlenses. It flares but in a romantic way, with no hood that is. I wanted a smaller 2nd camera for when the 5D was too much kit, and instead I got a primary camera. I haven't touched my 5D since I got the X100. I don't leave the house without the X100 around my neck, even now that I'm on crutches for 6 weeks. If you like the 35mm equivalent view, there is no comparison to the other options. You'd literally need to spend at least 3-5x this much to even approach the IQ and lens speed with AF and an optical viewfinder. Just posting to say that I adore my NEX-5. I only use two lenses on it a C/Y 50 f/1.4 and a C/Y 28 f/2.8 (via adapter), nothing special. I am waiting very very patiently for more native primes to come out. The size of these mirrorless cameras is what drew me in. I basically stopped shooting sports a while ago (or only shot them super rarely) because I realized that I really like sports too much to be watching through a camera haha. Once that happened it was 90% street/walk around shooting. The NEX, even with a beercan 50 (and adapter) is so much smaller, easier to carry, and discrete than a full SLR. Fit me perfectly. I sold my canon gear and have not looked back since. Of course, the problem is that given the cost, I might as well get an X100...which I wouldn't mind, but I'm already having a hard-enough time saving money since I just bought my 60D, and the X100 is still a pain in the rear end to find. The Olympus E-PL1 is only 400 dollars on Amazon now. The E-PL2 is 150 dollars more, and I don't really think it's worth the price increase. The improvements are basically a very slightly faster auto-focus on the kit lens, and more importantly a 460,000 dot LCD vs. the 230,000 dot LCD on the E-PL1. I thought that extra resolution would make a significant difference in usability, but I demoed both and it really didn't at all. (They both have a "magnify" button that will zoom to 100% crop if you wish to manual focus the camera. And if you really want to do a lot of manual focus, you'll probably have bought the VF-2 digital viewfinder anyway.) Also, I felt the grip on the E-PL1 is more secure than the E-PL2; I wish they hadn't changed that. All in all I think the E-PL1 is truly a great camera for 400 dollars. I like that Olympus has a good amount of lenses out already, and that the camera bodies have image stabilization built in, which (slightly) decreases the lens cost. I don't think I'd get the E-PL2 for 550. My biggest issue is that I wish there were more manual controls on the body. The menu system is set up well, and you really don't have to dive very deep for manual control once you set it up properly, but I would still prefer more dials. They are both great for people who want a great camera but don't want to fool around with manual conrol, because of the "Live Guide" mode. Basically you can adjust the picture with sliders. Adjust the "blur" slider to change the depth of field instead of understanding aperture, etc. So it's marketed for beginners, but you can definitely shoot it full manual. In the end, none of the micro 4/3 cameras have that perfect combination of features for me quite yet, and I don't need a new camera right now, so I'm waiting to see what the currently non-existent E-P3 brings, and of course new models from Panasonic, etc. Anyway, this turned into a mini-review but I was going to say that you could get the E-PL1 and the Panasonic 20 mm f/1.7 lens for about 600-650 dollars to mimic the X100. Of course the image quality isn't going to be to that level as the X100, but still quite great. And about half the price, with the ability to change lenses. I both own and operate a pirate ship. PIMM makes me want to sell my 5D2 and get an X100. I mostly use a 50mm lens on it, 35mm would be good too. I just got my X100 today (and found a 4gb micro sd in an old phone, yay! Waiting on my eye-fi pro) and I'm considering getting rid of my 5d2 too since I don't do any paid work right now. With my 5d2 I was using a Zeiss 35/2, 50 1.8, and 100L. I love my Zeiss 35/2, but I found myself stuck using the 50 1.8 too many times due to needing AF. The Zeiss 35/2 is going to be sold this week to help pay for my x100. I'm deeply considering downgrading the 5d2 100L to a 50d 85 1.8/85 1.4 and potentially 45/90 ts-e for product shots and food photography. e: The only downside is how loving slow it is to write to cards/turn on and be ready to shoot. I went from an Xs to 1d2 to 5d2 and it's definitely the slowest expensive camera I've ever used. 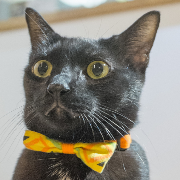 NEX users, tell me about spot metering with the cameras, spot AF? If it's possible to move the manual focus assist zoomed section around quickly to zoom in on a particular item? I have a canon FD 50mm f1.2 I'd like to play around with if I get a NEX. Is back button focus a feature thats possible? Can you turn off all the stupid shooting tips? Currently I have a Canon 40D, so I may miss some of the advanced stuff if I get a NEX to replace it. 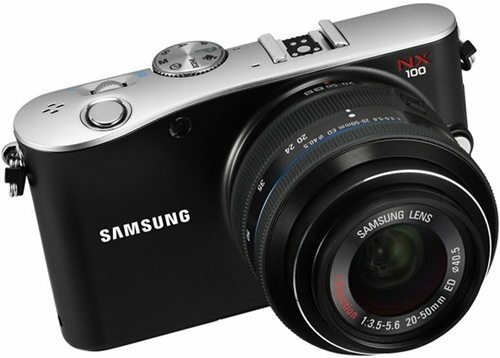 Basically I have a NEX vs x100 debate going on with myself. Through a connection I can get a NEX-5, 18-55, 16mm, and the OVF for a little under half the amazon.com price of an X100. If the NEX is as awesome as I hear it is, I may not miss some of the features the X100 brings to the table. I'm still waiting for my X100 , but I suppose that's for the best as I still have to finish my thesis. Came across this link for mitigating some of the x100 issues. If I have Nikon DX lenses, can I put those on any of these cameras? The first acronym ever thought up for these systems. Electronic Viewfinder Interchangeable Lens. Afaik you can mount any lens on any compact system with the proper adapter. Aperture control is another matter entirely though. There are Nikon G to micro 4/3 adapters on ebay but I think they just use the physical lever that holds the aperture open when the lens is mounted. Goad idea for a thread. I recently traded in my 40D for NEX-3. I have to say that apart from not having a view finder and going back to a 3.5-5.6 lens from the Tamron's constant 2.8, I'm quite happy. It's a lot more portable and I find myself carrying it with me more than I ever did with the 40D. I have a Japanese domestic model and can't change the language, so I haven't really explored all the settings yet. I couldn't say off hand if the metering spot is adjustable. One last thing, The main reason I got a mirrorless camera over a compact P&S, apart from the nice big sensor, is so I can use my rangefinder lens (I only have one) with it. I'm planning to get an adapter in the next week or two, but the Voigtlander one is quite expensive and I hear bad things about the cheap Chinese ones. The Kipon adapter seems to be a good compromise between quality and price. Any thoughts or recommendations? Been super-busy this week, but I'll try and get something written up in the near future! I have one of the Chinese NEX-M adapters and it's been fine. At one point, I think about 3-4 months into owning it, the mount started to come loose, but it was as easy as screwing it back in (you need one of those really small phillips head screwdrivers) and it hasn't give me any problems since. My M adapter came from ebay seller fotodiox, who are based in the US, and I'm happy with it. Rangefinder adapters generally won't have as many moving parts as SLR adapters - there's less that can potentially go wrong, so it's probably safer to buy cheaper ones. My FD adapter from the same seller has a diaphragm lock that slips out of place easily and is kind of annoying. I'll probably spend a bit more for a better one next time. It speeds way up with a sandisk extreme pro UHS-I (45mb/s) it's a totally different beast. Also make sure to format it in camera every time you "empty" the card on your computer, don't just delete files off with your pc, use the camera to format it. Also set it to "fast startup" in the menu, and I personally don't let it fall asleep, I use the on/off switch instead. Thanks for the tips. I reckon I'll save money and go for one of the cheaper options. Which is a good thing because I just found a Rokkor 90mm f4(CLE) for a good price and couldn't resist. That does mean I've blown my budget for the month though. Looks like I'll be subsisting on rice until pay day. I don't really understand rangefinder cameras. So if you hooked a rangefinder lens to your micro 4/3s camera would you see a double image on your LCD that needed to be converged to focus? Or is that just how the viewfinder worked on rangefinder cameras in order to approximate focus, since you couldn't actually see the image coming through the lens? So in that case, focusing with a rangefinder lens on a m4/3 camera would look just like focusing any other lens? 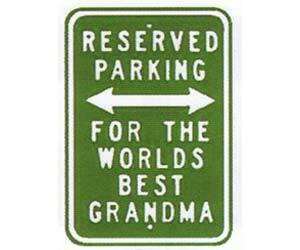 Correct on the latter. The reason they're popular on EVIL cameras is their compact size; they also sit closer to the sensor, so they don't have those almost inch-thick adapters like most SLR lenses do. The downside is that because of the way rangefinders work they aren't designed to focus closer than .7m (unless it's one of those uncoupled ultrawide lenses), which can be a drag. If someone integrated a helicoid into an NEX-M adapter to give it an on-demand extension tube effect, that'd be amazing. 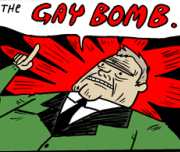 I work at a big US retail electronics chain in the camera department, and a customer who just bought a NEX was giving me his take on it. I told him about my plans of maybe giving up my 40D for a NEX and he said it's mindblowing that people would carry around a camera that large, because he thinks carrying the NEX with the kit lens and 16mm is already a massive inconvenience vs a point and shoot. If only he knew about some of us in the dorkroom. Well personally i don't think there is any size difference between a NEX camera with at 18-55 and a normal dslr. 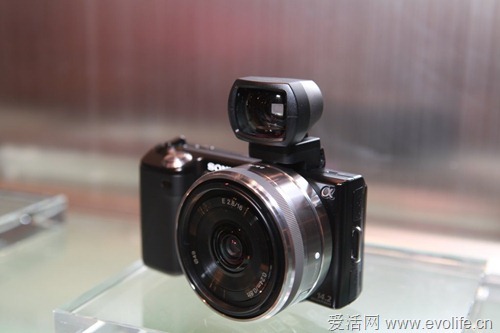 The NEX might be a bit lighter and smaller , but the lens still made it quite bulky! What do you consider a "normal" DSLR? I was going to say, the closest you might come to a mirrorless camera in the "regular" DSLR world is the Olympus E-410 but even that's notably larger. Maybe a 60D or 600D with a 50mm or the standard kit lens? I think it makes sense if you think of size in terms of "put it in a ________ and forget about it". A P&S fits in a pants pocket, a NEX with pancake might need a shirt or jacket pocket, but add an 18-55 and you need to make specific accommodation to carry it. Is the X100 currently the only mirrorless camera (except for a leica) that has a viewfinder built in and good high iso? I'm considering getting one but it's pretty pricy right now and the hybrid finder isn't worth it to me. Maybe if there was another version with EVF only for ~$800 or something. Is the X100 currently the only mirrorless camera (except for a leica) that has a viewfinder built in and good high iso? It's currently the only one with an optical built in finder, but the panasonic G series has built in electric viewfinders. The new g3 looks nice, but none of the 4/3 stuff touches the X100 for high ISO quality. What's the real world battery life like for the X100? Have you tried using it with studio lights yet? No, which is a shame since I'm mister lighting dude, but just been trying hard to do more natural light stuff lately. I want to though, but the X100 is just so relaxed and laid back in how I shoot that lights seem so overkill. Real world battery life how I use it? 250 shots. I plan to take 1 battery per day on trips, they are tiny, so I'm planning to take 6 for my trip to Mongolia, for instance. Oh wow that's way less than I imagined. I guess I can't comprehend the tiny factor though. I use camera's really differently than most people. A "heavy" shoot yesterday and I took 60 images on 2 different cameras (x100 for 35, 5d with 85mm 1.8). It's very rare that I go on a multi day trip, and even when I do, I still don't come back with nearly as many photos as most seem to. Would I like more like 500-700 shots per charge? sure. Do I notice it's battery life? no. I'm only taking multiples with me to Mongolia because i'm not sure what the electricity availability is going to be. With a place to charge each night I'd only ever need 1 battery as I never take more than 250 shots in a day. I would imagine battery life would really depend on how much use you're putting the screen though as well, live view puts a pretty good drain on mine (E: my E-30, I don't have an x100...... yet) if I'm using it for a good number of shots. Actually the EVF takes less energy than the OVF somehow, so I've heard. I haven't had many chances to use my camera out though, only put about 200 actuations on it so far. I only use the OVF, minimal chimping and when I do, it's on the EVF not the LCD (which I love, no pulling the camera away from your face to chimp). But the batteries are the size of a box of matches, so it's not like it isn't a cinch to just keep one in your pocket. This has always been my attitude and it puzzles me why more people don't think this way. I have 3 batteries for my 40D and no matter where I travel I always have at least one spare. but NP-95 are old and used in multiple cameras, it should be super simple to find them in any radioshack, best buy, amazon, etc?